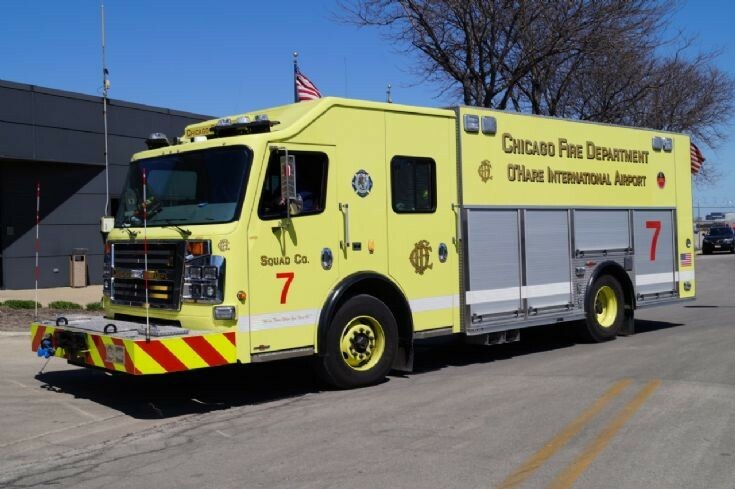 Readers will be relieved to learn that CFD limit this awful yellow paint job to their units at the airports. The majority of the fleet are still the traditional black over red - except for the ambulance fleet, which are solid white. Added by Rob Johnson on 15 May 2018. Rob, the reasoning behind the yellow colour is because any ARFF vehicles that are painted in the "approved" yellow livery attract a grant from the FAA toward the cost of the apparatus. Added by Andy Fish on 16 May 2018. As a Cook County property tax payer, I guess CFD could be forgiven for painting everything yellow!